Our picks for the best hardware of 2017 didn't come easy. 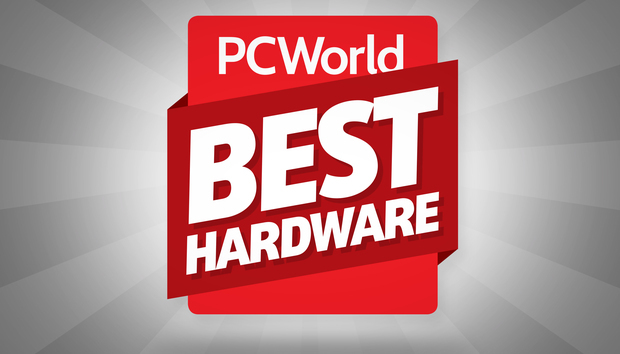 Our winners survived a gauntlet of testing by the PCWorld staff, and we're confident these are the very best products you can buy in each category. In compiling this list, we looked at design, performance, ease of use, and even bang for the buck. The winners also needed to pack fairly advanced components, so you won't regret purchasing one of the products a year from now. As we worked to finalize our list, every editor had his or her favorite candidates. But after some spirited debate, we're confident we've chosen the very best. Read on to find out which hardware has stood the test of time in 2017—and should still be a great buy in early 2018. Don’t fix what’s broken but go ahead and make it better. 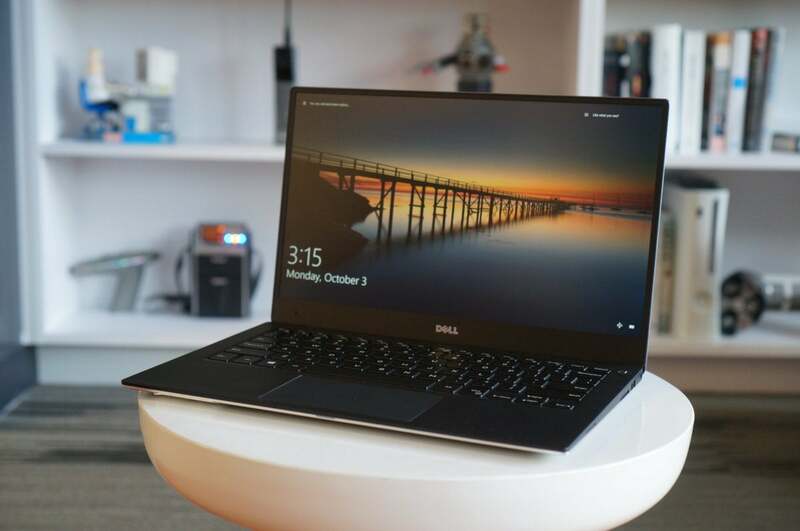 That’s the mantra Dell picked for its latest XPS 13 ($1,199.99 as configured via Dell), which ups the ante from a dual-core chip to a quad-core chip using Intel’s 8th-gen Core i7 CPU. The best 2-in-1 or Windows tablet was nearly a tossup between HP's Spectre x2 (currently $1,299.99 at Best Buy)and the Samsung Galaxy Book. While Samsung's low price, OLED display, and excellent battery life tugged at my heartstrings, the Spectre x2's higher-res display, competitive price, and solidly built design ultimately won me over. Essentially, HP took the best bits from its Elite x2 tablet and the first-generation Spectre x2 tablet (2015), then updated the new Spectre x2 with 7th-generation Kaby Lake chips. With the Spectre x2, you're getting solid performance in a rugged package: a Surface-like 3,000 x 2,000 display, Iris Plus 640 integrated graphics, 8GB of RAM, and a 360GB SSD. HP even included a pen and keyboard, all for a holiday price of $1,200. The ZenBook Flip (available at Amazon) is a fully convertible notebook that can handle everyday tasks with ease. 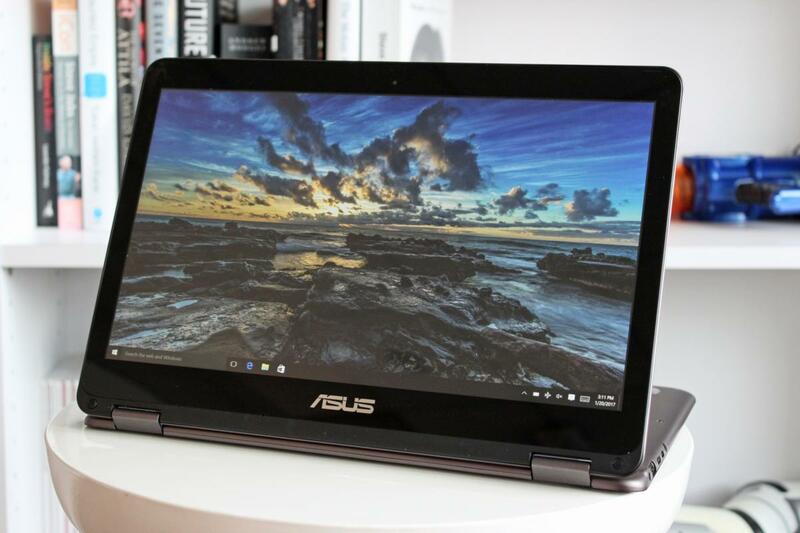 Its pricing and specs are virtually identical to one of our favorite budget ultrabooks, the Asus UX305 (now discontinued). Inside you get a Core m3-6Y30, 8GB of RAM, and a 256GB SSD, and outside there’s a 1920x1080 IPS screen with an anti-glare finish. 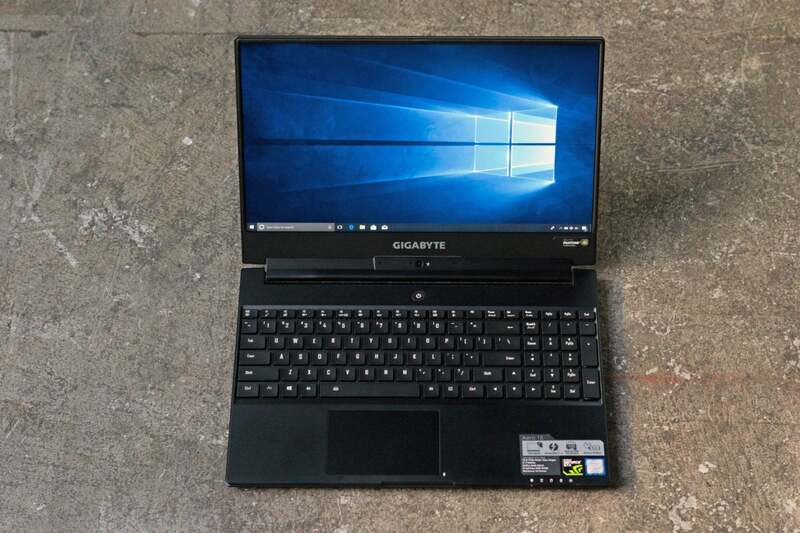 This laptop is slender and lightweight, too. It measures 0.54 inch thick and 2.8 pounds, which keeps it in line with more expensive ultraportables. You’re not saddled with chunkier dimensions or extra weight in exchange for a lower price. Best graphics card: 2017 was a hard year for graphics cards. Nvidia’s GTX 10-series hasn’t been upgraded, and AMD’s long-awaited Vega wound up disappointing overall. Worse, cryptocurrency miners drove the price of mainstream cards through the roof. But despite all that, one GPU stood out from the crowd: Nvidia’s $700 GeForce GTX 1080 Ti. 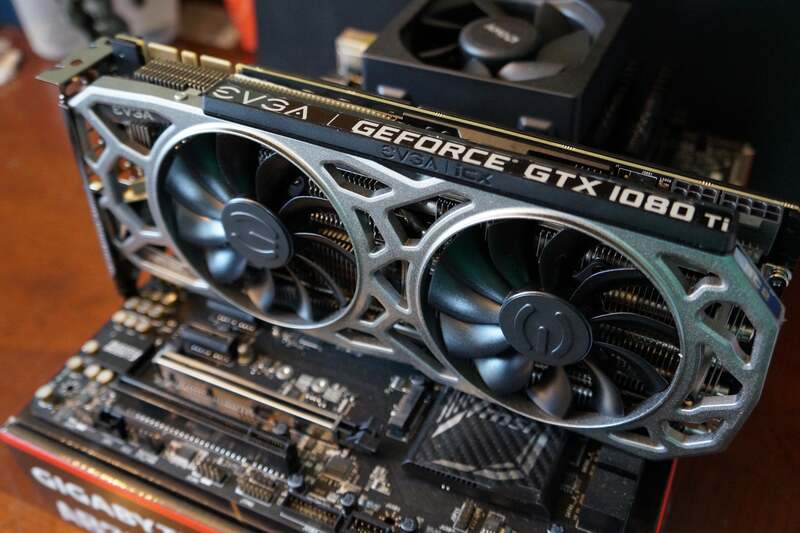 The GTX 1080 Ti is the first consumer graphics card capable of delivering a no-compromises 4K gaming experience, and it doesn’t run any hotter than the GTX 1080 to do so. Nothing comes close to its prowess—and customized cards push the pedal to the metal even further in both cooling and performance. Our favorite? EVGA’s GTX 1080 Ti SC2 ($770 on Newegg). Most aftermarket GTX 1080 Tis are gigantic. The SC2 sports a standard dual-slot design, yet it still manages to include a sizeable factory overclock and quiet, efficient cooling bolstered by EVGA’s revolutionary iCX cooling technology. It’s been a wild year for lightning-fast SSDs. Intel’s next-gen Optane SSD 900P burst onto the scene, and Samsung’s 960 Pro is still melting benchmarks. But NVMe drives are pricey, and most people’s systems can’t even boot from them. So we’re sticking to SATA SSDs in the traditional 2.5-inch form factor for our top pick, and the best SSD we’ve seen this year is the SanDisk Ultra 3D. 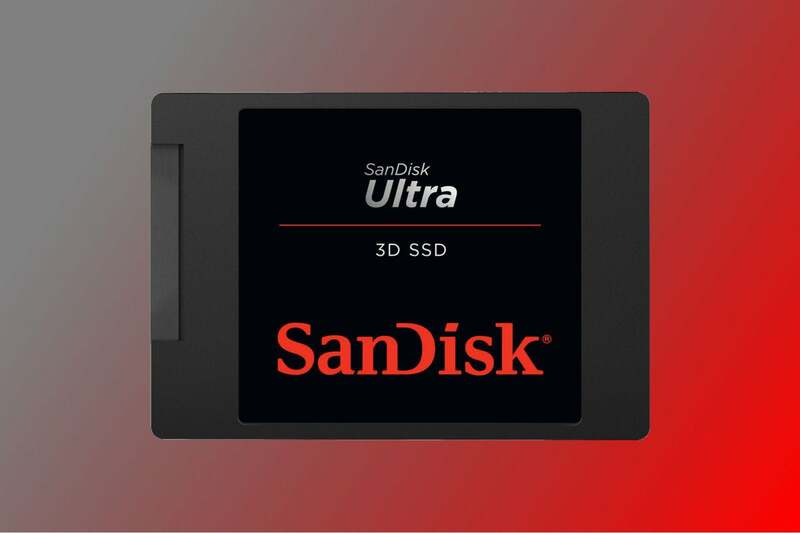 The SanDisk Ultra 3D is an ideal upgrade for your pokey PC. It’s faster than any other TLC-based SSD we’ve tested, which lets it pack a delicious blend of both performance and capacity—the drive is available in up to whopping 2TB capacities. Better yet, it’s affordable, at just $140 for 500GB on Amazon. It’s easily worth your money. 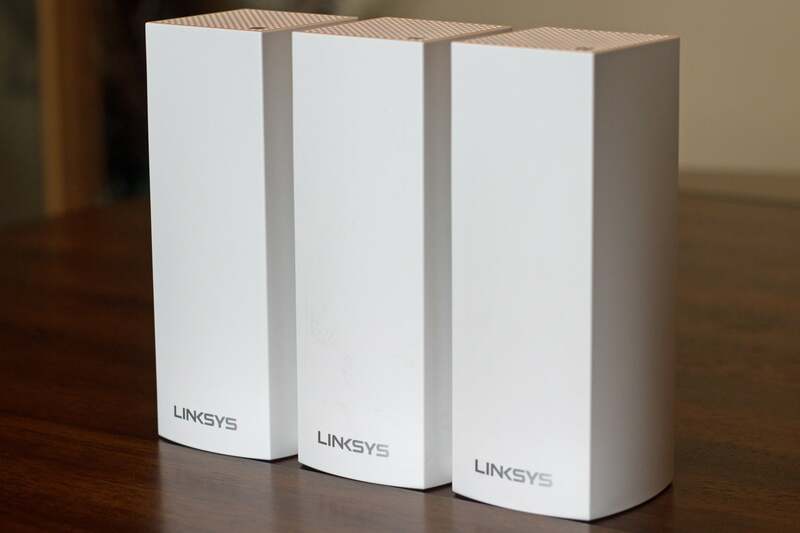 We’ve focused most of our attention on 802.11ac mesh routers and whole-home Wi-Fi systems this year. They’re the best networking solution for most homes, because they eliminate dead spots by blanketing your home with near-uniform connectivity. We’ll add more coverage of the traditional routers that gamers and other enthusiasts might prefer in 2018. 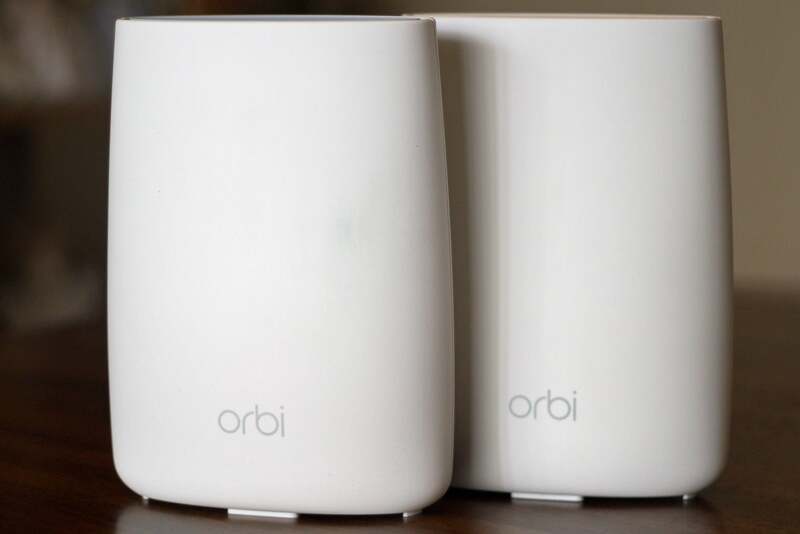 In the meantime, Netgear’s Orbi RBK50 (available on Amazon) remains our top recommendation for most consumers. If your home has ethernet in its walls, however, we recommend the Linksys Velop (available on Amazon) for reasons we’ll explain in a moment. Netgear’s system consists of a tri-band router with a three-port ethernet switch, and one satellite access point. Netgear says this should be sufficient for a typical 2,000-square-foot home. You can add satellites if your home is larger, but we found two to be sufficient for the 2,800-square-foot, single-story, ranch-style house we tested it in. 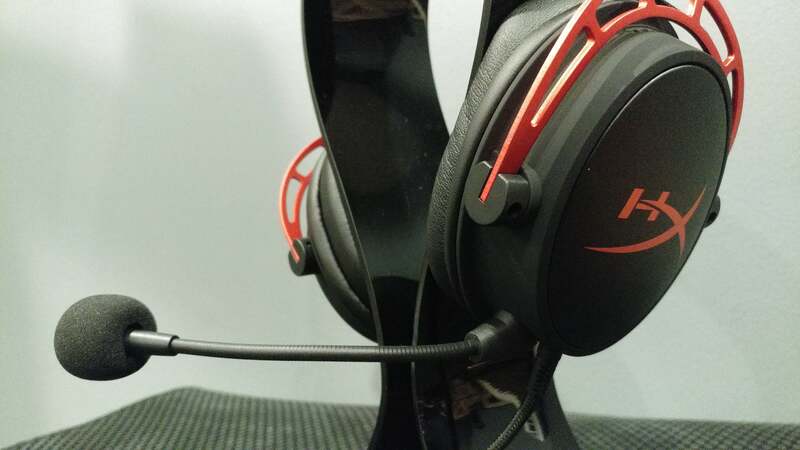 Ever since the original HyperX Cloud gaming headset debuted, it’s been our all-around favorite gaming headset. It’s not surprising that it took a headset with the same DNA to end its reign. The HyperX Cloud Alpha (available on Amazon) brings the same combination of durability and comfort that made us fall in love with its predecessor. There are some quality-of-life upgrades, too, like removable cabling and more accessible volume and mute controls. Yes, we’re choosing a wireless gaming mouse as our top pick. What Logitech has accomplished with its Powerplay wireless charging technology is truly revolutionary. 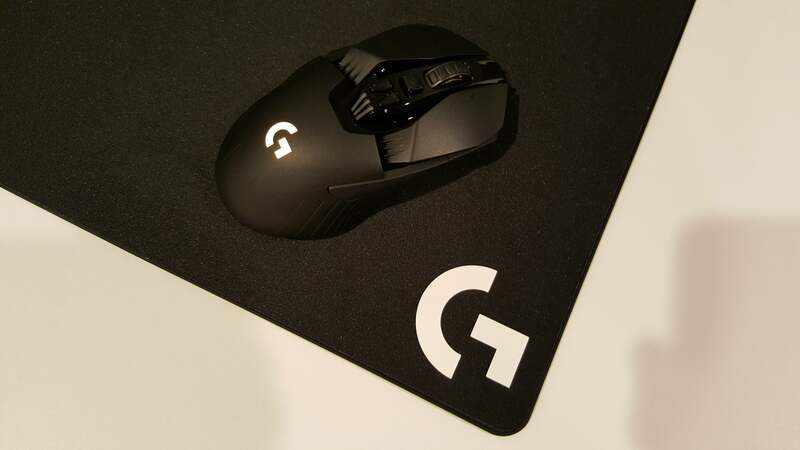 It’s a pricey proposition, since you must buy the inductive Powerplay charging mat ($99.99 via Logitech) in addition to one of two compatible mice: Logitech’s G703 or the premium G903 (available on Amazon). But the results are worthy of accolades. This is the gaming keyboard for people who want it all, price be damned. Corsair’s K95 RGB Platinum (available on Amazon) is not just big and brash, but it delivers quality. It’s got Cherry RGB switches—Corsair’s still one of the only companies to use the excellent fan-favorites. 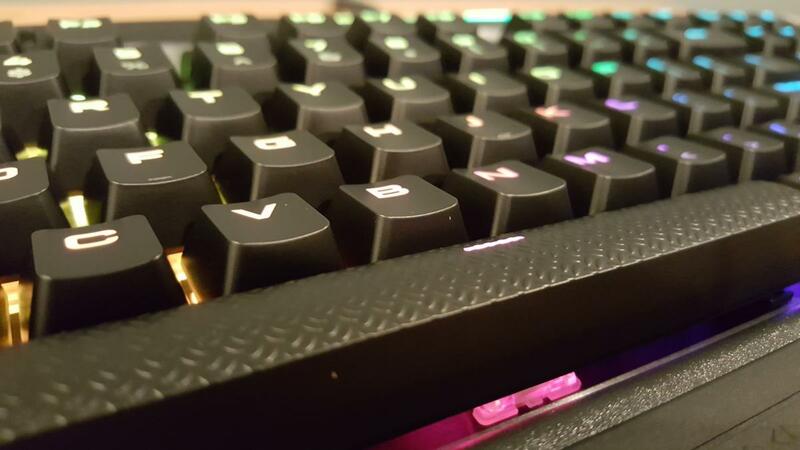 Its top-tier lighting includes backlit keys, and a multizone RGB strip across the top and underneath the logo. And it features industry-standard media keys—love that volume roller! 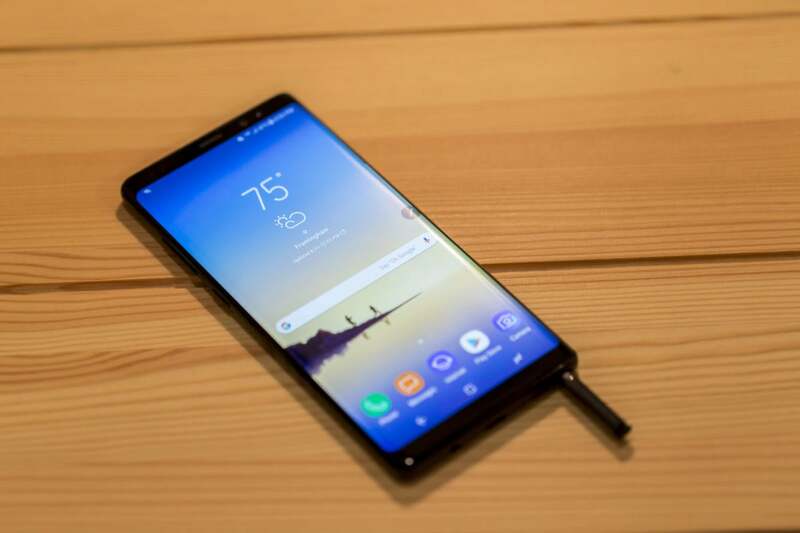 As the successor to a phone that was infamous for a global recall due to faulty batteries, Samsung had to deliver something monumental with the Galaxy Note 8 (currently $949.99 from Amazon). And it did. The Note 8 follows the design introduced with the Galaxy S8 but puts its own spin on it. Its screen is only a tenth of an inch bigger than the S8+ display, but it feels much more substantial due to its squarer edges and heftier frame. Its Snapdragon 835 processor is buoyed by 6GB of RAM, and the dual camera (a first for a Galaxy phone) takes impressive portraits and low-light shots. But what puts the Note 8 over the top of the Pixel 2 and LG V30 is the S Pen. The only premium Android phone to feature a stylus, the Note 8 experience is unlike that of any other Android phone, balancing consumption and creation to deliver a device that really can do it all. The One Plus 5T brings a 6-inch display to the party without needing to jack up the price too much. Snapdragon 835? Check. 8GB of RAM? Check. 128GB of storage? Check. 6-inch screen? Check. Dual camera? Check. All-day battery? Check. Headphone jack? Check. 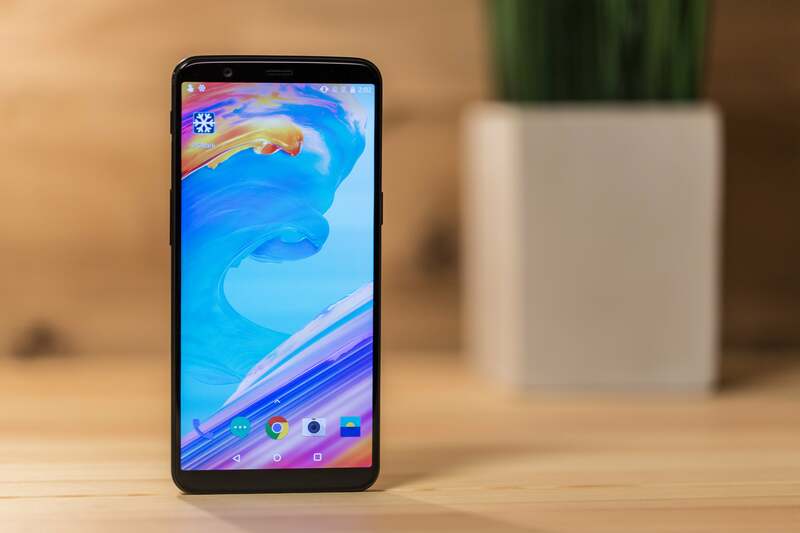 The OnePlus 5T (available from OnePlus) is a mid-cycle refresh like the 3T was last year. Instead of a ho-hum spec bump, it increases the size of the screen from 5.5 inches to 6 inches. A half-inch might not seem like much, but it makes a huge difference. An 18:9 screen puts the OnePlus 5T in true premium territory, and its lightweight OxygenOS is the best Android skin this side of the Pixel 2. But even with top-of-the-line specs, the OnePlus 5T's best feature is its price. If you opt for the top-of-the-line model, which brings 8GB of RAM and 128GB of storage, it'll cost you just $559, nearly $400 less than the 128GB Pixel 2 XL. The only wrinkle is that it doesn't support Verizon's CDMA network, but if you're an AT&T or T-Mobile customer (or want to be), you won't find a better bang for your buck.